There may be nothing you can do to stop the aging process, but there are things you can do to slow down it’s effects and achieve a younger-looking skin. This is possible through safe and effective non-invasive aesthetic treatments that can tighten your skin and promote healthy skin without cuts, incisions, or downtime. Here at Cutis Laser Clinics in Singapore, we offer the 2D skin rejuvenation, which combines Titan Skin Tightening and Laser Genesis Therapy. Continue reading to find out how both treatments can help you look your best by achieving a younger and fresher look. Titan Skin Tightening by Cutera is a US FDA-cleared aesthetic device that uses laser light technology to promote new collagen production. This results in the tighter skin on the face and other parts of the body such as jowls, cheeks, and eye area. This makes Titan an ideal solution for achieving a youthful appearance without surgery. 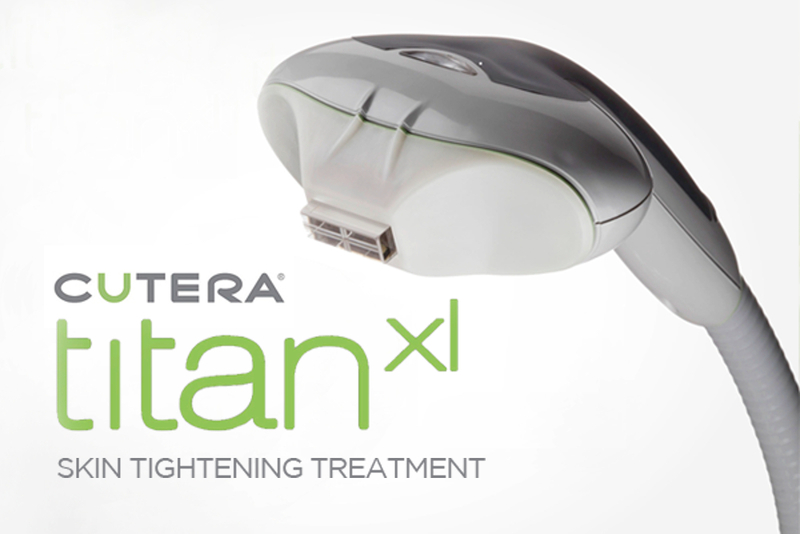 What makes Titan unique from other treatments is that it utilizes safe infrared energy that provides a more uniform distribution for heating the deep dermis (middle skin layer). In turn, this heat stimulates the body’s natural production of collagen to create healthy and new skin. Generally, the procedure can take between 30 to 60 minutes, depending on the number of areas to be treated. Moreover, the skin’s surface is protected through the Titan’s continuous cooling and each pulse feels like a gradual increasing warm sensation, which most patients find comfortable. Improvements can be seen after the treatment but the full effects will be seen after a few weeks and months. It is also good to know that the procedure can improve and enhance the skin’s elasticity and firmness without anesthetics or downtime. Check out our previous blog to learn more about Titan and other non-invasive skin tightening procedures. 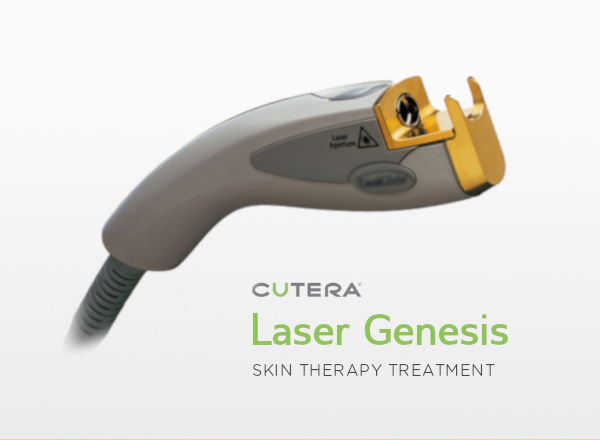 Laser Genesis, which is also by Cutera, is a US FDA-cleared device that uses innovative laser technology to promote healthy and vibrant skin. It complements the Titan and works on the superficial dermis to treat fine lines and wrinkles, minimize large pores, diffuse redness/scars, and treat uneven skin texture. It works by gently heating the upper dermis below the surface of the skin to stimulate collagen regrowth. It helps improve the texture and appearance of the skin. Moreover, it generates additional heat in dilated capillaries to reduce skin redness. It is also good to know that most patients describe the treatment as therapeutic and relaxing. You may experience a gentle warming of the skin during the procedure, with the treatment performed in a comfortable manner without the use of topical anesthetics or gels. Subtle yet consistent results are expected after each treatment, without any unwanted side effects like bruising or skin irritation. You can also immediately return to your normal activities. Just be sure to use sunscreen when participating in outdoor activities. You can check out our previous blog to learn more about Laser Genesis and how it can help both men and women of all ages and skin types. Both men and women can benefit from the results of 2D Titan – Genesis combination as it’s designed to minimize pores and improve the skin texture while reducing laxity and providing firmness of the skin without surgery, injections, or recovery time. Contact Cutis Laser Clinics in Singapore today and schedule a consultation with our Harvard-trained aesthetic doctor, Dr. Sylvia Ramirez, to know if you are a candidate for these non-invasive procedures.